I can’t say I ever really got into the Three Musketeers except for hey! swords and hats with cool feathers. But today’s the sort of day where their motto is on my mind a lot. 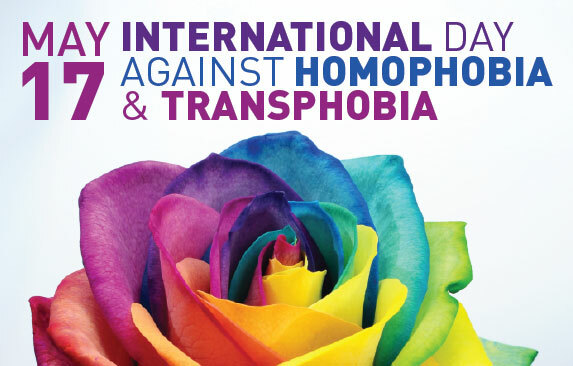 Today is International Day Against Homophobia and Transphobia, and I’m proud to take part in the blog-hop to support it. When I was growing up, I had my eyes opened by radical feminists. People like Germaine Greer taught us to look at society and its expectations as (sometimes subtle, often overt, always deeply entrenched) ploys to keep women as second class citizens, as not good enough to be men and have a man’s privileges. They showed us that misogyny was the warp and weft of our society. I thought that here was someone, a small group of someones, who had found a voice for us, who spoke for us with wit and biting, incisive intelligence. I grew up in an exciting time, socially. Women had refused to go back into their little (and belittled) roles after the war, education was evening up, the Pill meant that a woman’s sexuality didn’t have to be suppressed for fear of pregnancy, we had pay equality locked into legislation. Sure it’s not perfect—there are still glass ceilings, women are still judged on appearance, there are still huge gaps in career achievements and lifetime earnings—but we really are light years ahead of our mothers’ experience. I *owe* those women who fought and argued and struggled to lift all of us up in their wake. I truly owe them. Dunno about you, but that makes me feel pretty sick. When she writes ‘us’ and ‘we’, she sure as hell isn’t speaking for me. She’s stopped speaking for me. Her voice isn’t my voice. That biting incisive intelligence is conspicuous by its absence. Bitter hate has taken its place. You can’t pick and choose. No really, you can’t. It’s not about rights, equality and liberation just for one bit of our society but about ALL our rights. 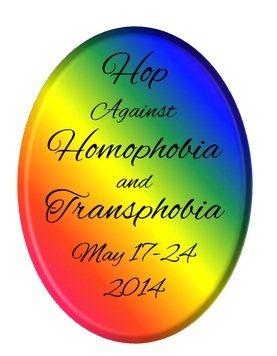 If misogyny is in the warp and weft, the threads are homophobia, transphobia, racism, ableism. If, as a cis woman, I expect all civil, societal and human rights and responsibilities, then that same principle applies to everyone. There isn’t a finite amount of “equality” out there in the world. If I win equality of pay, for example, it doesn’t mean I’ve used up the entire pot so there’s nothing left over when it comes to dishing out access to services for people with disabilities. My right to feel safe in our streets doesn’t mean that I’ve used up all the “feeling safe” bit of the societal pot so that there’s nothing left over for the transgendered and all I can do is shrug and say “Sorry. Too bad. Feminists needed it most.” It it sure as hell isn’t a case of my suffering and my experience is worse than yours, buster, so stop that damned whining. The freedom/equality/liberation pot is infinite. So should the struggle be. I’ve said this once before on this blog, but I’ll say it again. If the rights of one group are threatened and denied, then all our rights are at risk of being threatened and denied. The people who would deny rights to gay people and the transgendered? They don’t like women much either and they’re the ones leading the fight against hard-won reproductive freedoms by denying birth control and restricting abortions. The fight ain’t over yet, folks. We’re all in this together. 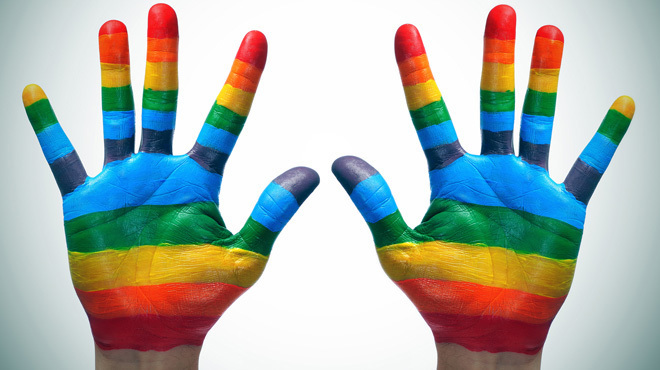 People matter, not their sexual orientation or their gender, their colour or race or their physical or mental abilities. Just their humanity matters. Fighting for one bit is useless. Fight for all. Be a Musketeer. So, Stephanie, I never did tell you this when we worked together because it was never an issue and to even mention it would make it one, but it never bothered me at all that you used the ladies loo even though you hadn’t yet had your final operation. Not a problem. You identified as female. You are female. Still thriving, I hope, and I’m sorry we lost touch as we moved on to different jobs. And Germaine? I owe you so much for helping me understand how I’ve been shaped by society, and for paving the way for the advances women have made, but I gotta tell you something. This equality shtick you’ve been espousing all these years? You’re doing it all wrong. Enjoy the blog hop. There are lots of cool prizes on offer from the participants and you’ll get to read a myriad of views and experiences that will, I promise, enrich your day. Comments left here on this post will enter you in a giveaway for my novella, FlashWired. Leave your email address in your comment if you’d like to enter the giveaway. When the blog hop ends on May 24, I’ll stick a pin in the list of names to choose one, and send you the ebook. Have a great day. All for one, remember. I’m a big believer in ‘together all minorities outweigh the majority’ and this is one of the many reasons I strongly support the GLBTQ community. I have as yet to meet a homophobe that wasn’t also racist and misogynistic, too. I have to wonder if in Greer’s case, however, her own battle to get women recognized with equal rights didn’t blind her to the needs of trans people. I’m not condoning her view, mind you, just suspecting on some level she felt this mocked what she was doing herself. But yeah. Sometimes it’s a jolt to realize someone influential who gets *some* things right can be so wrong on others. Excellent and enlightening post! I suspect, with Greer and others like her (she was by no means alone in this), that their own struggle seemed paramount and transgendering seems to them to be an attempt by some men to claim female space. I haven’t heard her thoughts on female-to-male trans, but her whole approach, it seems to me (and this is a very simplistic precis!) has never been about making the sexes *equivalent*, but about difference and liberation – the freedom for women to define self, values and fate. Philosophically, trans people cut right through that – she sees it, I think, as an attempt by men to muscle in. I suspect the hostility comes from there, but the first time I heard Greer sneering and insisting on calling a transgendered female as “him”, my respect for her plummeted to somewhere in the cellar. It was so cruelly dismissive. It was so narrow-minded. Thank you! I don’t think she’d care much, though. She and the others seem very entrenched, sadly. Great post, Anna. I have to say I agree TERFs make me sick. And this: “There isn’t a finite amount of “equality” out there in the world.” So many times I see people drawing lines like equality can’t be equally divided amongst us all. It’s sad so many otherwise brilliant women are blinkered when it comes to this. I don’t understand the reasoning of Greer and her ilk. I truly don’t. I just deplore it and dismiss them as voices to listen to. I’ve never understood, either, the mindset that thinks that ensuring everyone isn’t discriminated against, somehow is an attack on them and their rights. It flummoxes me. Do they really think that there is only so much “fair and equal” in the world? It’s as if their minds say: “There’s only 100 gms of ‘fair’ about and I’ve got 80gms, but if those pesky gays want to get married I’ll have to give some of it to them and I’ll only have 60gms left. Oh woe is me! I am being unfairly attacked here and my rights are being trampled on!” Bizarre sort of (non) thinking. Hope you enjoy the blog hop! Great post, Anna 🙂 I especially like the “It’s not a competition” part. It goes for news coverage as well. “Why do they keep talking about this when there are so many other more important issues to talk about?” is what I hear often. Just because there are other important issues to talk about doesn’t mean that we should stop talking about everything else! It always strikes me as odd how people have cut off points – anything they’re interested in is important and necessary, and to talk about/act on anything else somehow *diminishes* their bits. Such an odd fallacy to cling to! ‘All for one and one for all” it’s a good slogan. Thanks for the insightful post. I appreciate you being part of this blog hop. Glad you enjoyed it! It’s a great hop, and I hope you enjoy the rest of it. It is indeed! Enjoy the rest of the hop. Wonderful post. Thank you for taking part in the hop! Glad you liked it. Enjoy the rest of the hop! Glad you liked it. Enjoy the rest of the hop – there are some wonderful posts out there. Thank you for your post I had no idea Greer felt like that you’d of thought all the fighting for equal pay and rights etc for women she wouldn’t ever talk like that about another group of people who are being discriminated against. It shocked me horribly. I had revered these women and what they had done for my generation, only to find this terrible lack of empathy in them for any struggle but their own. Sad, but the lack is in them, and not us! Thank you for the post. Agree equality must be for all. Glad you liked it! Enjoy the rest of the hop – there are some great posts there. Really liked your blog. People seem to forget that one way or another everyone is part of at least one minority. I can’t understand how some think that, once they’ve got their rights, it’s okay to pull the ladder up behind them. Glad you liked it, Andrew. And yes -we are all part of a minority of some sort. I’m a white, cis female professional, so on the face of it privileged and lucky. But I am also deaf. Not profoundly so (I still have some hearing) but without my hearing aids life can be very difficult. So yes. Everyone has something they need to get out of that societal ‘pot’. Hopefully we can all put something in, too. Glad you liked it, Caddy. Enjoy the rest of the hop! Great post! & thanks for the giveaway. I’m loving this hop so far. I love everybody’s point of view & experiences. The hops are great fun to do and also very enlightening. Glad you’re enjoying it! Glad you liked it, Rissa. Enjoy the rest of the hop! You won the draw, Rissa, and I’ve emailed you about FlashWired. Thank you for taking part! I love you post. There’s much to ponder – and yes, we are all tied together, which is a fascinating thought! We possibly all are born from one ancient DNA…and acceptance is a challenge for our world, in all of its forms. You’re right, Viki. I think when we look at differences, we forget how tiny they are against the massive amount of commonality we have. The heartening thing is that a generation ago, the current issues around gay marriage, or transgender rights, weren’t even on the radar. We have come a long way. It’s just that there’s still a long way to go! Grins at you. I am very flattered! Thanks for the post and the giveaway. thanks for joing the hop. Glad that you ‘re enjoying the hop! Hop. Thanks for the giveaeay. Hi Michelle. I’m glad the post interested you and I hope you enjoy the rest of the hop. It’s great fun, isn’t it? I’ve read some amazing posts. It was fun, wasn’t it! I agreed with everything you said. We speak up for women because we are women, but that doesn’t give us the right to deny other people the right to respect. Absolutely! But we’re also more than women, if you see what I mean. I’m partially deaf, for example, so I have a foot in the camp of the disabled as well as careering faster than I like towards old age… I suppose I just dislike the rabid purity of the pigeon-holing done by Greer and her ilk. yes, absolutely. in fact the problems arise when we put ourselves in categories, rather than just people who are being treated unfairly.